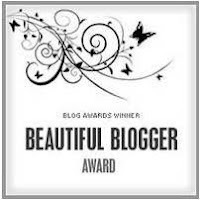 beautiful blogger award. | escaped. Miss Syikin dropped a comment here a while ago telling me that she gave me this award. 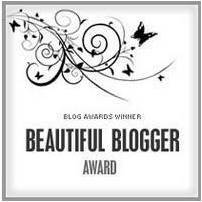 Hilal, in this case I'm changing it to the handsome blogger award HAHA. I hum/sing when I cook. I hate it when people tell me to eat, BECAUSE I EAT WAY MORE than anyone I know. Vintage things are my absolute favorites, even if I got them for 2 bucks from flea market. I don't like soft drinks simply because I don't like the weird taste they give to my tongue. So when we go to restaurants my friends would have all those fabulous drinks and I'd have ice lemon tea. I am 10% water and 90% caffeine. He he he humming while cooking ? what my voice is nice ok!!! HAHAHAH. btw, hr tu i was listening to too phat's anak ayam, suddenly remembered you!